MADAM CHANCELLOR, James Clifford is an American historian of Anthropology and Professor Emeritus in the History of Consciousness Department at the University of California, Santa Cruz. He obtained his Master’s degree from Stanford and his Ph.D. from Harvard, and is considered one of the most original, influential, and controversial scholars working in anthropology today. Upon completion of his doctoral studies in 1978, Dr. Clifford was among the first faculty appointed to the History of Consciousness Department Ph.D. program, where he served as Chair from 2004 to 2007. The Department continues to be an intellectual center for innovative, interdisciplinary and critical scholarship in the United States and abroad, due in large part to his influence. He has published and lectured extensively on a variety of anthropological topics related to Indigenous People and questions of cross cultural representation. His recent work focuses on decolonization in the Pacific region and the emergence of contemporary indigenous cultural politics. 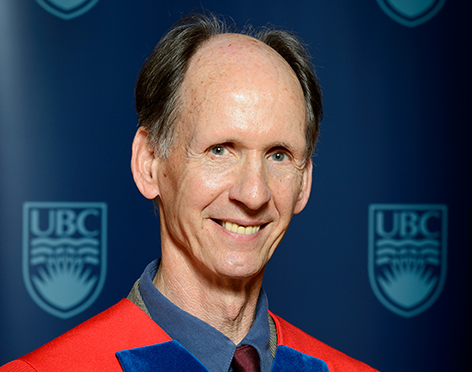 His interest in these subjects resulted in a collegial association with the UBC Museum of Anthropology, and his current service as a member of the museum’s advisory board. His widely cited and translated books have sparked controversy and critical debate in a number of disciplines, including Literature, Art History and Visual Studies, and Cultural Anthropology. He has been on the editorial boards of many of the leading journals and has been a visiting professor at l’École des Hautes Études en Sciences Sociales Paris, University College, London and Yale University. Madam Chancellor, in recognition of his prodigious scholarly work and influence, and for his generous service to this university, I ask you to confer the degree Doctor of Laws, honoris causa, upon JAMES CLIFFORD.